MATERIAL: 78% combed cotton, 18% nylon and 4% spandex. Stretch cotton spandex blend fabric, durable and comfortable, suitable for all-day wear. SIZING GUIDELINES: Maplewel women socks are fit for size 23 to 25 cm, suitable for women US shoe size 5 to 9, They are elastic and perfectly make it suitable for your feet. 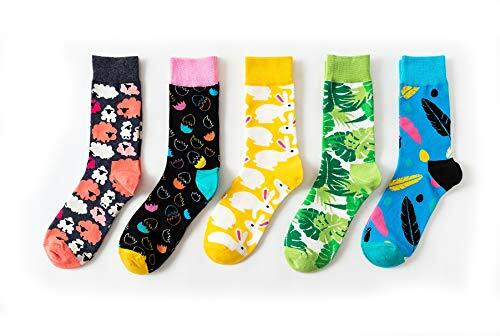 FASHION DESIGN: These women winter Socks come with such a fashion design that they can easily match kinds of uniforms, shorts and miniskirts. FUNCTION: The selected combed cotton is equipped with antibacterial and deodorizing functions for socks, ensuring good breathability. The non-slip cuffs keep the stockings in place and do not slip off the legs. SATISFACTION GUARANTEE - Just contact us if you have any problem.We will get you back within 24 hours and try our best to make things right!